MDM | Richard M. Hicks Consulting, Inc. When Always On VPN is configured for Windows 10, the VPN connection is established automatically when the user logs on to their device. This differs fundamentally from DirectAccess, where the connection is established by the machine, before the user logs on. This subtle but important difference has some important ramifications. For example, it means that a user cannot use Always On VPN until they’ve logged on to their device at least once while connected to the corporate network. 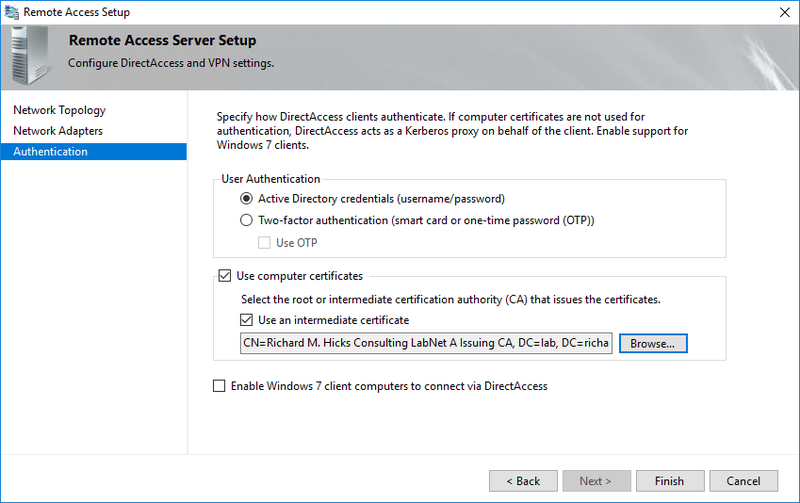 DirectAccess doesn’t have this limitation, as a connection to an on-premises domain controller is available to authenticate a new user upon first logon. To address this shortcoming with Always On VPN, and to provide better feature parity with DirectAccess, Microsoft introduced an update to Windows 10 in the recent Fall Creators update (v1709) that allows for the configuration of a device tunnel for Windows 10 Always On VPN. Once enabled, the device itself can automatically establish a secure remote connection before the user logs on. This enables scenarios such as device provisioning for new remote users without cached credentials. It also enables support for password reset using CTRL+ALT+DEL. Device tunnel for Windows 10 Always On VPN also enables important manage out scenarios that DirectAccess administrators have come to rely upon. With a device tunnel configured, administrators can initiate connections to remote connected Always On VPN clients to provide remote management and support, without requiring a user to be logged on at the time. To support an Always On VPN device tunnel, the client must be running Windows 10 Enterprise or Education v1709 or later. The computer must be domain-joined and have a machine certificate installed. 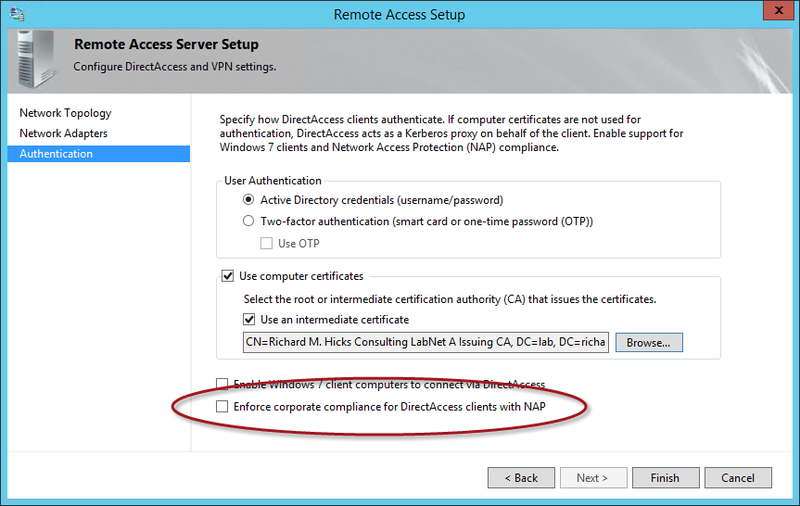 Device tunnel can only be configured using the built-in Windows 10 VPN client (no support for third-party clients) and the IKEv2 protocol must be used. When configuring a device tunnel, traffic filters can be implemented to restrict communication to only those internal resources required, such as domain controllers, Windows Server Update Services (WSUS) or System Center Configuration Manager (SCCM) servers. However, when traffic filters are used, no inbound traffic to the client is allowed. If manage out is required over the device tunnel, traffic filters cannot be configured. Microsoft expects to remove this limitation in a future update. Configuring and provisioning a Windows 10 Always On VPN device tunnel is similar to the process for the Always On VPN connection itself. 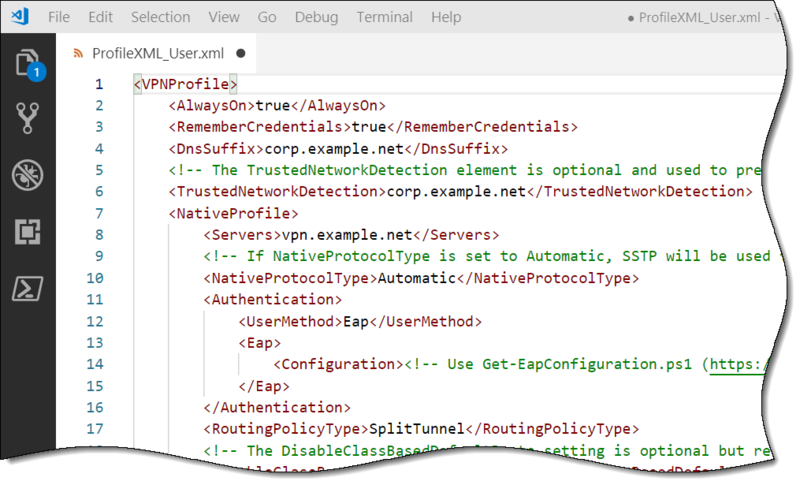 A VPN profileXML file is created and then deployed via a Mobile Device Management (MDM) solution such as Microsoft Intune. 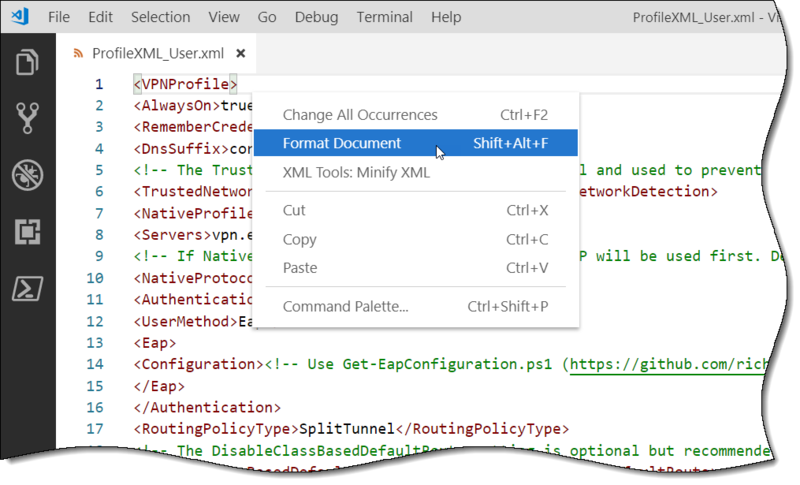 Optionally, the VPN profileXML can be deployed using SCCM or PowerShell. Additional information about Windows 10 Always On VPN device tunnel configuration, including a sample profileXML and PowerShell script, can be found here.